As practicing Muslims living in this part of the world, one of our major concerns and goals is to not allow our faith and the faith of our children be compromised. We send them to full-time Islamic schools, Saturday/Sunday Islamic schools, and take them with us to Islamic lectures in our respective centers throughout the year in hopes of their Islamic education and upbringing, even if it demands our time, energy and money. Without a doubt, this greatly strengthens the foundation of religion in our youth. As these youth grow older and eventually graduate from high school, there is a problem. On one hand, there just simply isn't anything for them anymore that will continue to give them more Islamic backbone; most of what they had, ended in their mid to late teens. On the other hand, they are exposed to new methods of education and efficient learning in college/university. Add to all of that the fact that they have intellectually developed and bear many more questions than before, or at least are seeking a means to add to their Islamic knowledge, thus not settling for the same old material they have been exposed to in their earlier years as kids in an Islamic center. This will continue to be the case until they become young professionals and young couples; life will get even busier and in effect, they will have even less time to learn, and their thirst for deeper Islamic thought is left unquenched. If deeper and more thorough Islamic knowledge is what is demanded by the next generation of Muslims in America, why not give them just that? The academic work has been done by the great scholars of religion and their countless works are accessible to those who understand the languages they have been written in, and who also possess the tools and expertise needed to make out any technicalities therein, namely, graduates of the Islamic seminaries of Qum and Najaf or other institutions of higher education. All that is needed is for these individuals to study, understand, simplify and deliver the rich content of these works in a structured and efficient manner and in the English language to those who need it in an interactive setting where questions can be asked. 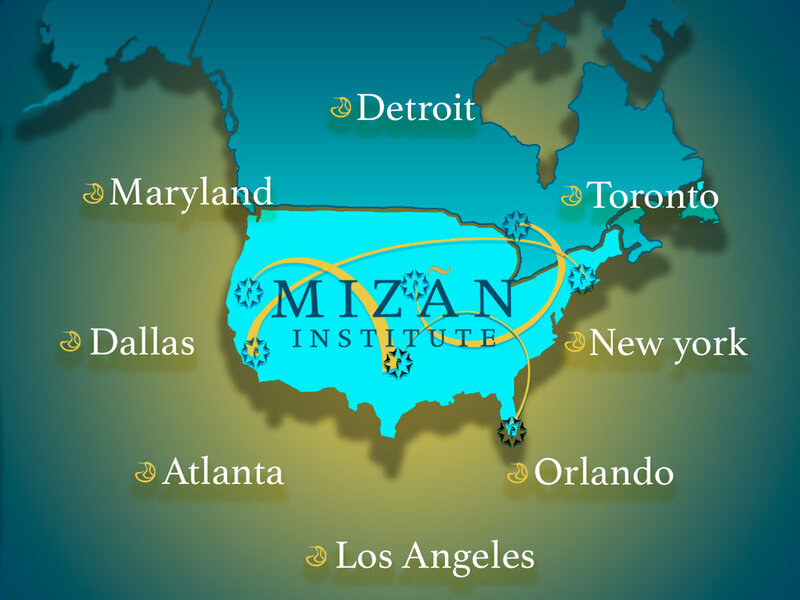 This is exactly where Mizãn Institute comes in the picture. 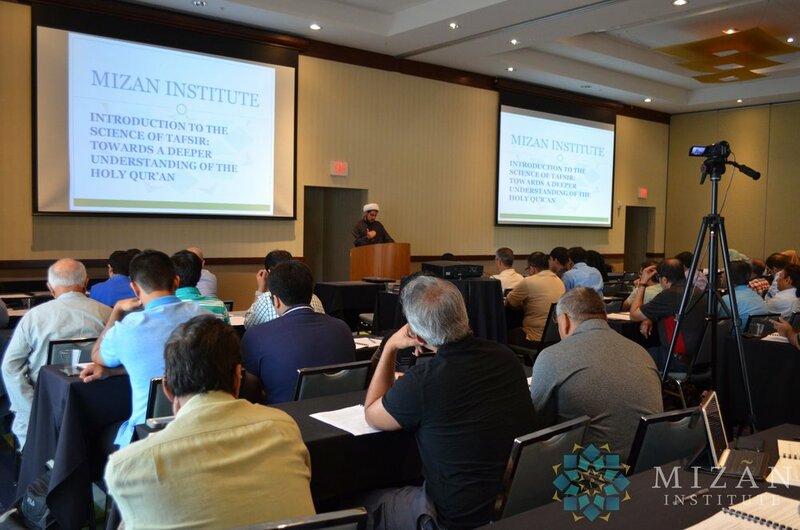 An initiative aspiring to be the ‘bridge’ between the fruits of the hawzah and the Muslims of North America. 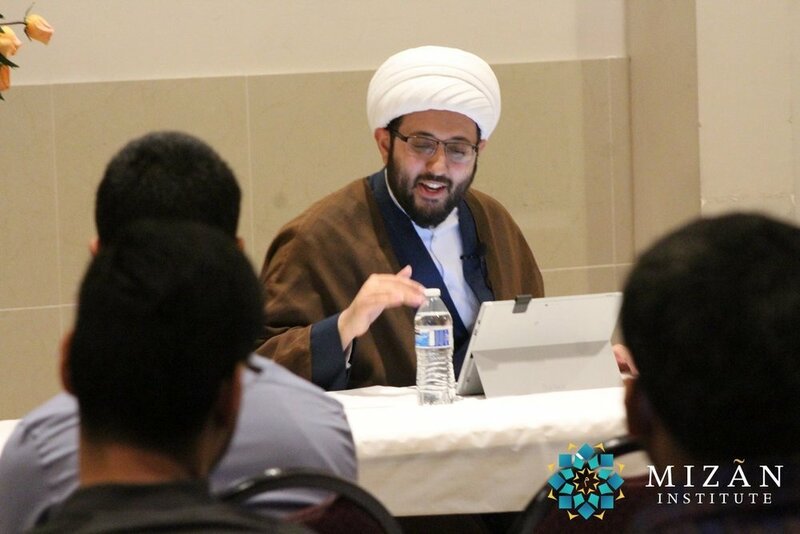 An institute looking to put the hand of the believers in North America in the hands of the likes of Allamah Tabatabai and other greats through their works. Each course is carefully tailored to meet the high standards Mizãn Institute maintains, thus demanding tens upon tens of hours to prepare. 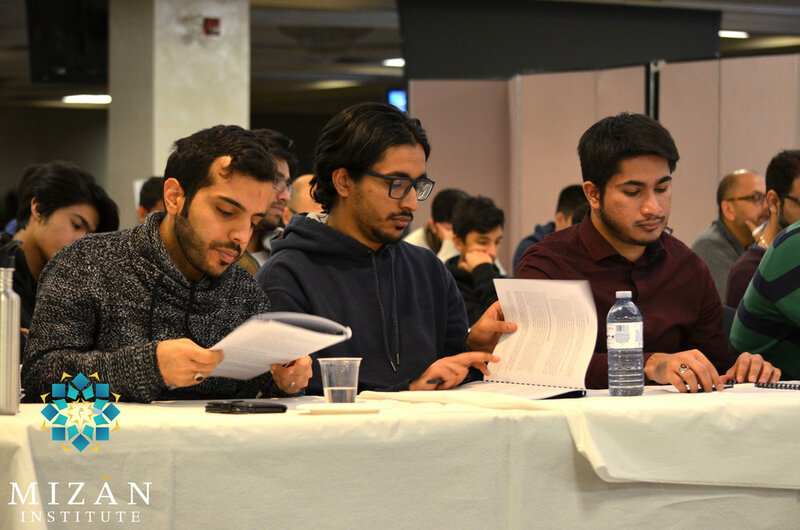 Some courses may take up to 100 hours to compose, all for the purpose of getting quality content to the brothers and sisters who need it. 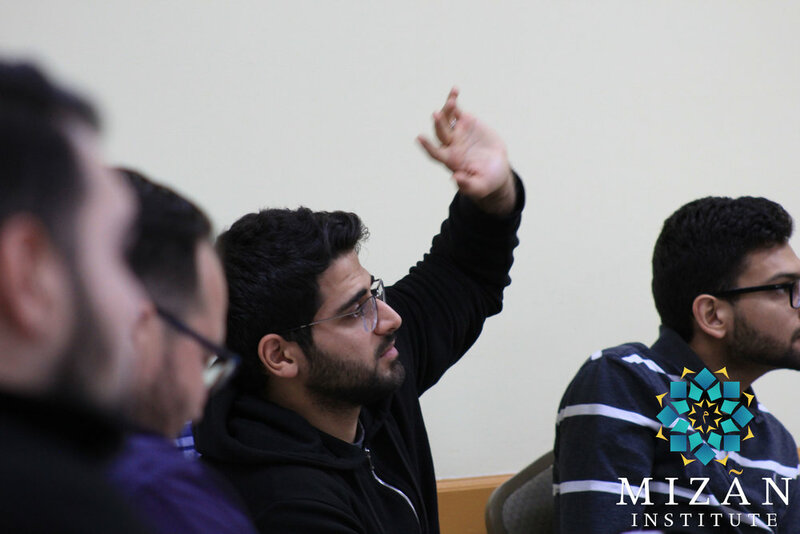 At the same time, we know how busy the schedules of people today can be, and that is something Mizan has also taken into account; each course is made to be taught over a single weekend in any given city, community or Islamic center that requests a course. As a result, people don’t need to worry about having to regularly attend a class weekly for a given period of time; all they need to do is put a weekend aside when a course comes to their city. Hawzah is a place where scholars of the religion are trained. To be an actual scholar, full-time commitment is a must, and for a good number of years at that. 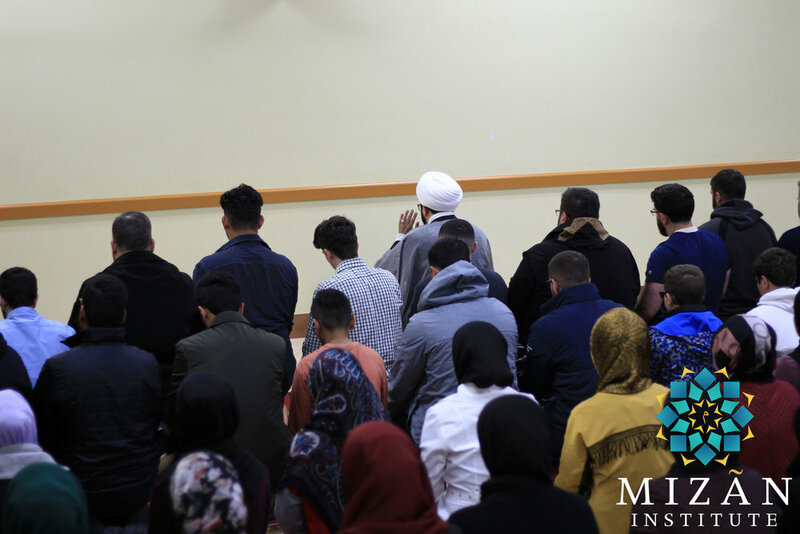 Many of the young American Muslims out there today cannot dedicate full time to a hawzah program for various reasons. Even if they can/desire to dedicate full time, there are many who aren’t interested in going through the traditional hawzah studies such as sarf (Arabic morphology), nahw (Arabic syntax), fiqh and usul al-fiqh. They don’t want to spend years on acquiring these tools and don’t want to necessarily be scholars of religion. 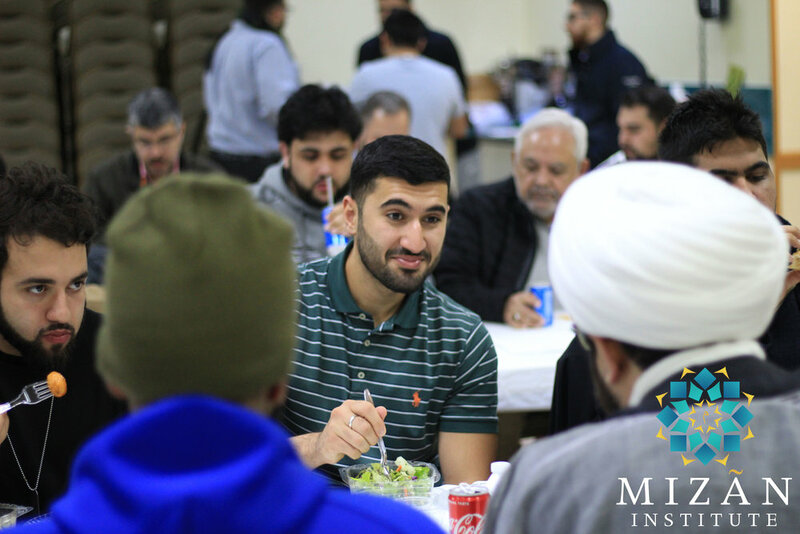 All they are really after is to gain a better and deeper understanding of the teachings of the Quran and Islam and develop a strong Islamic backbone.